Completely coincidentally, Josh Duncan wrote a blog yesterday about Product Launches over on his A Random Jog blog. No, we didn't plan it but he did ask my opinion before he posted it. My 9 year old son is a budding birdwatcher and last Christmas we got him a squirrel-proof feeder and 30 pounds of bird feed (Ace Hardware was having a sale). The feed was general purpose but appropriate for the birds in our area. The feeder has this clever mechanism on it so that birds of most size can feed on it but the weight of a heavier squirrel closes off the feeding ports. 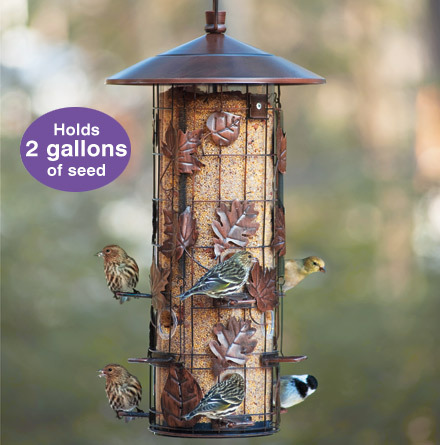 This was a major item in the MRD because the squirrels in the neighborhood make a good living off acorns and other people's bird feeders so we weren't keen to contribute to their weight problems. With such a deep and broad target market waking us up every morning, the TAM was vast and attracting buyers was going to be easy. Afterall, the other players in the market (our neighbors) had plenty of buyers so it wasn't going to take much for us to establish a presence and attract our share. Product launch went smoothly. We hung the feeder on our nice, sunny and protected-from-the-neighborhood-cats patio and waited for the birds to arrive. My son had visions of cardinals, tanagers and all manner of exotic or rarely seen birds flocking to our patio. Nothing. We waited some more, trying to socialize the concept of patience to our son. And waited. Maybe there was something wrong with the launch plan. We checked the MRD and read the documentation on the bag of seeds again. Yup, good for jays, finches, chickadees, wrens and all manner of local songbirds. Thinking it was a QA issue, we checked the feed itself. With the rain we've had this year (twice the normal rate) the seeds may have gone moldy. Nope, seeds were dry and fine. QA recertified. Maybe the feeder was too close to the house making the birds shy. Nope. Feeder package said our positioning was right. Still no birds. More patience discussions. A little Internet research gave up a tidbit that it sometimes takes birds up to a year to find a feeder and get used to it. Whew! The launch plan was sound and the product requirements were right for the buyer persona - just the timing assumptions were off. Finally, after nearly four months a pair of Western Scrub Jays built a nest in the pear tree next to the porch and started helping themselves. First to visit was Mr. Jay. Two or three times a day he would flit in, grab some seed and take off. Mrs. Jay would show once a day. Then they started showing up more frequently as evidenced by the spillage all over the patio. Then something interesting happened: they changed their buying patterns. Mr Jay shows up frequently, grabs beakfulls of seed, dumps them on the patio then takes off. Mrs. Jay delicately takes a few seeds at a time and leaves for a while. When they come back they go down to the patio and eat the spilled seeds, flitting here and there taking one seed at a time. I got tired of having seed all over my patio so to improve my customers' UX I swept the spilled seed into a pile right below the feeder. If it was in a pile, they wouldn't have to hop all over the place to eat. That was the assumption. Mrs. Jay, as you can see, is content to sit in the pile of seeds and eat her fill in one spot. Mr. Jay, however, still prefers to chase all over the patio picking up individual seeds he dumped on the ground during a previous visit. Sometimes it does take a while to get results, even though everything else was done right. And even when there's lots of buyers around. Some buyers are tidy buyers, some are messy. To get one sometimes you have to allow both. Next up: Is it time to change the channel?